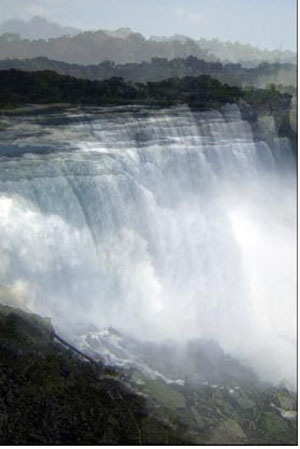 The piece will be the central artwork for the embassy and will consist of a large diptych on lightboxes, with images of Niagara and Victoria Falls. “It is similar to my Average Niagara work that is in the collection of San Francisco’s de Young Museum,” Anderson noted. The work was commissioned by the State Department's Art in Embassies program, and the piece will have a prominent place in the entry atrium of the new US embassy in Lusaka, Zambia. Recently, the Art in Embassies program contacted Anderson again--only this time they were willing to commission a work. The work will be installed there later this year. “Currently, they are looking for funds to send me there and arranging for me to work with students in Lusaka,” Anderson noted. Anderson’s latest research has been focused on questions about what it means to be a landscape artist in the 21st century, and how an artist represents landscape with contemporary practices and tools. He noted that environmentalism is an important aspect to incorporate in representing 21st Century landscapes. One of his projects involves working with the Silicon Valley Toxics Coalition along with DANM grad student Phoenix Toews--developing augmented reality software that runs on iPhones and iPads. Their work is titled Tour of the Monuments of Silicon Valley. A viewer will be able to run an application on a device and visit a particular Silicon Valley Superfund site--there are currently 29 in the valley. 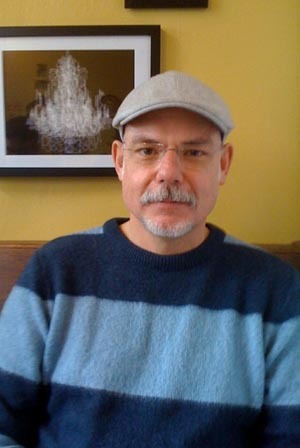 Anderson said that goal of the project is to create an interactive, locative storytelling platform using the phone, sound, text, and interactive computer graphics. A prototype was exhibited this past summer at the 01SJ International Biennial of technology art in San Jose.